Specifically designed for plus size moms. Pillow can fit moms size 10-28. Moms nurse or bottle feed thier newborn babies for hours a day. So back support is so essential for mom! Waterproof pillow cannot be personalized. The One Z Nursing Pillow was specifically designed with the new moms in mind with a full intergrated back support that make feeding super comfy! 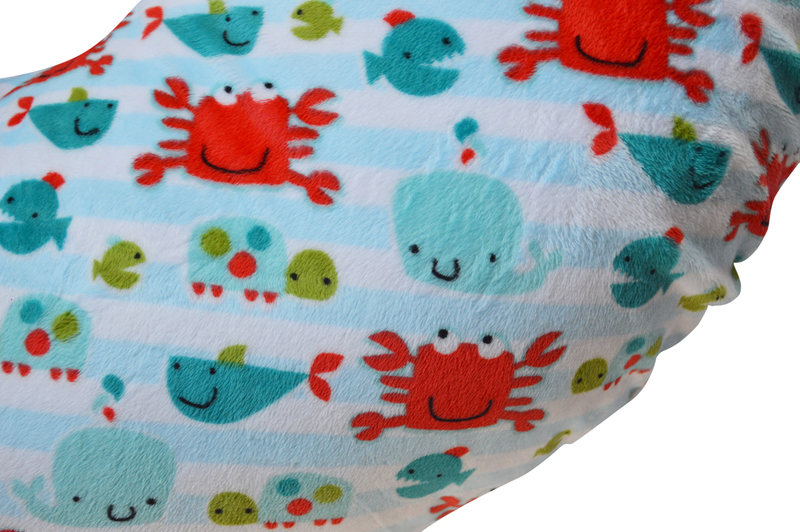 Also great for tummy time and support! The One Z Nursing Pillow Was a spin off from the “As seen on Shark Tank’s product” The Twin Z Nursing Pillow. The requests for a nursing pillow designed with a full back support for moms with 1 baby is now here!